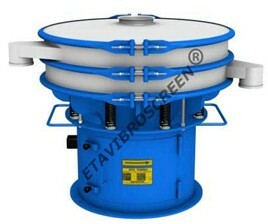 As a part of our standard manufacturing program we offer Eta Vibro Screen® machines in following range. 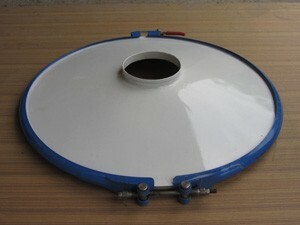 Size 18” to 60”, i. e. from 450 mm to 1500 mm diameter. Contact parts MS (mild steel), SS(stainless steel) 304, SS (stain less steel) 316. Number of screens 1 to multiple screens depending upon application and model. 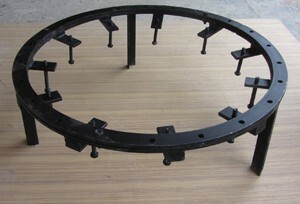 Anti clogging Ball Tray/Ring Tray : This is useful to achieve non clog screening. 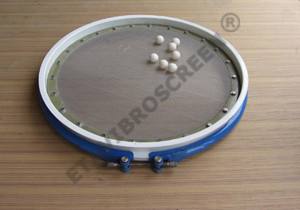 A tray having rubber balls or plastic rings is mounted underneath the fine mesh screen. The ball / ring get continuous vibrations from machine and hence they jump and hit the fine mesh from below. This makes particles trapped in the mesh holes to fall down and thereby keep mesh opening as clear as possible. 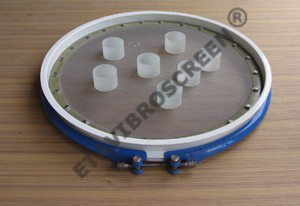 Dust Cover : This accessory is must for dust free screening. 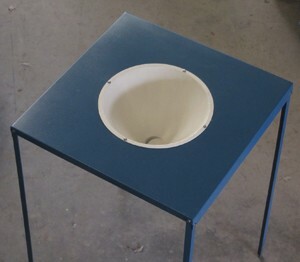 It is conical cover with an inlet hole in center for feeding material and optional inspection window to see the screening process on the mesh. Dust cover is clamped on the topmost deck with the help of ‘V’ grooved and ‘C’ clamp and can be removed easily if not required. Quick Opening Clamps : This is useful for the applications where frequent opening is necessary due to requirement of cleaning and / or change of batch or color. It is advisable NOT to use this feature if it is not demanded by application. 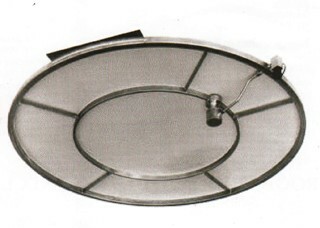 Mesh Fixing Fixture : A useful accessory incase where mesh is to be tied frequently due to high wear and tear from abrasive or heavy nature of material. 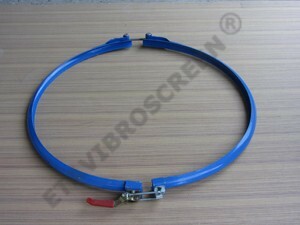 It is still advisable to keep a spare screen ring if the mesh change over is to be done fast. Dump Hopper :ETA has developed special dump hopper design to facilitate bag dumping above the vibro screen. Volume of the conical hopper is very low to keep height of the dumping platform within human limits. 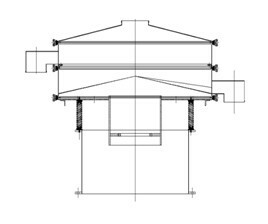 Dump hopper comes with sturdy platform to put material bags and conical hopper is having flow control device like shutter as per application. 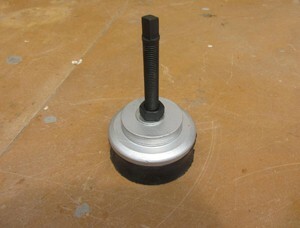 Anti Vibration Mounts :Isolates the vibrations of machine from the ground. It also helps in accurate leveling of the machine. Drawer Magnet :ETA drawer magnet design is with high power magnet like 8000 to 10000 gauss. These magnets are mounted on separate stand, not connected with vibro screen outlet. 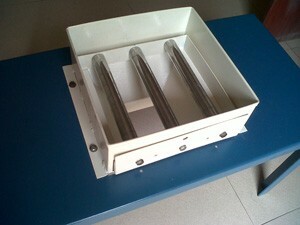 Hopper Magnet :Hopper magnets are having small funnel type hopper just enough to hold the magnet. The magnet design is normally in round shape, easily detachable and low power. These magnets are not to be connected with any vibrating part of the machine. 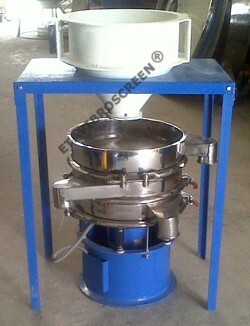 Feeder Hopper :This device helps you to ensure continuous and steady feed to the machine. Very useful where feed material is to be manually dumped from bags. SS base :For pharmaceutical industry, food industry and for highly corrosive environment ETA also offers SS 304/ SS 316 base shell. 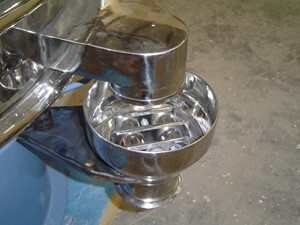 Vibro motor and motor housing are normally in MS painted construction. 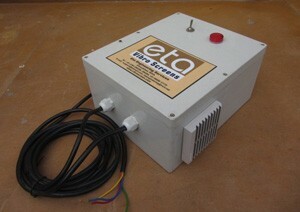 Ultrasonic Attachment :ETA also offers vibro screens along with ultrasonic attachment of European make. 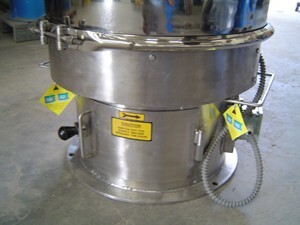 This ultrasonic attachment increases the capacity of the vibro screen by 3 to 5 times depending upon material. Material which is impossible to screen due to fine mesh or heavy choking becomes possible to screen with ultrasonic attachments.